Hi, Boeing 747, this is GMC Sierra...yeah, remember that drunken night we spent together in Acapulco 9 months ago? Yeah. Well, I've got some news, first you'll need to get some testing for something else, and next I'm gonna need 18 years of child support checks. Yes, I'm sure it was yours..take a look at the pictures. 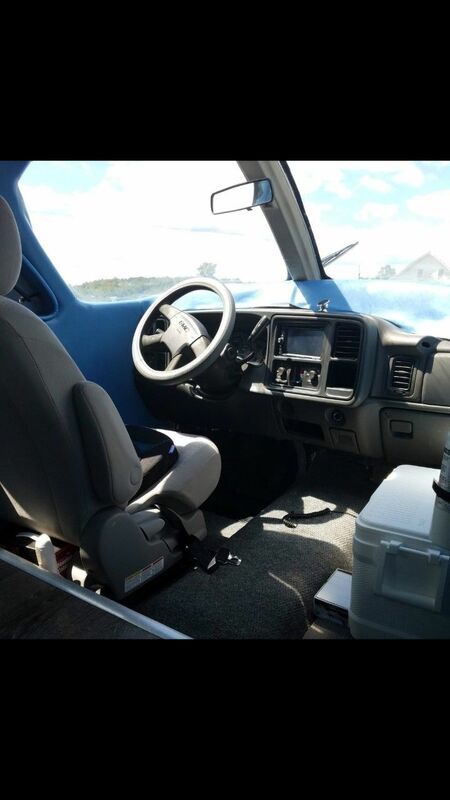 Find this 2005 GMC Sierra 2500 here on eBay bidding for $10,000 reserve-not-met with 2 days to go, located in Roswell, GA. As seen on Oddimotive. 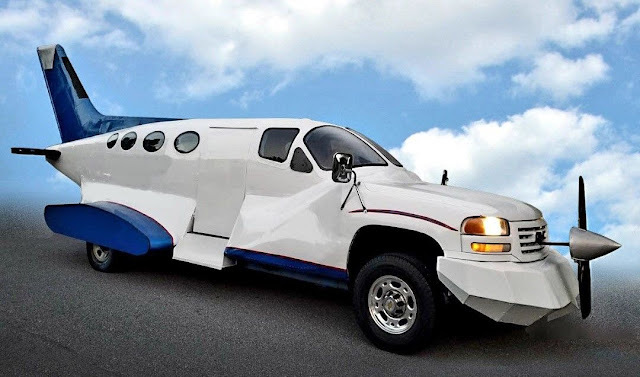 This extremely unusual vehicle was created with a GMC Sierra 2500 HD pickup with an 8 ft bed, and was combined with a Cessna 421B twin prop aircraft to create a one of a kind limousine. Just before the conversion this aircraft appeared in the motion picture "Black Panther". 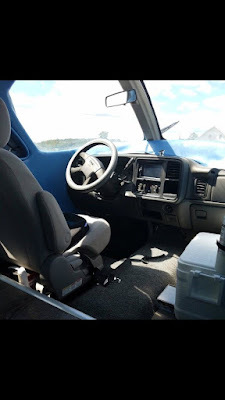 She is completely street legal and equipped with headlights, tail lights, turn signals, brake lights, side view mirrors, new tires, new rims, new stereo with rear backup camera, brand new gray reclining bucket seats, hardwood floors, cold a/c, new tuneup, etc. She is 32 ft long and the tail sits 12 ft high and is a head turner where ever she appears. If you are looking for major attention, to be all over social media then this Planecar is for you. 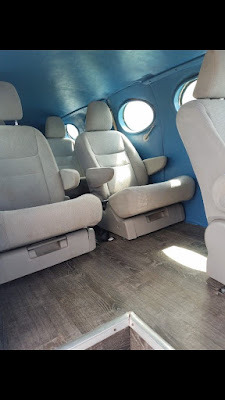 She can be used as a six passenger limo (you can make a fortune offering Theplanecar for weddings and other events) or it can be used as an advertising vehicle wrapped with a company displayed on it. She also is equipped with a propeller that sits on ball bearings and spins freely as you drive forward. Where ever you live, you will become the talk of the town and have a fun vehicle to impress your friends or family. At any point during the inception or building of this beast, most of us would have stopped, stepped back, and thought, "Whoa, what am I doing?! This thing is ridiculous and hideous! I should stop." But this guy kept his head down (eyes closed?) and soldiered on to completion. So I guess... kudos? I have a suspicion that the build quality is as solid as the design concept (meaning highly questionable). I'm going to guess that Georgia doesn't require stringent vehicle inspections. Nope, not much in the way of inspections here. If it passes an OBD2 plug in scan, it's good to go. That said, I'd like to see somebody use it as an airport shuttle service bus. "you will become the talk of the town"...I'm sure you will. But why would you want to? With a few tweaks it could double as a steampunk submarine.